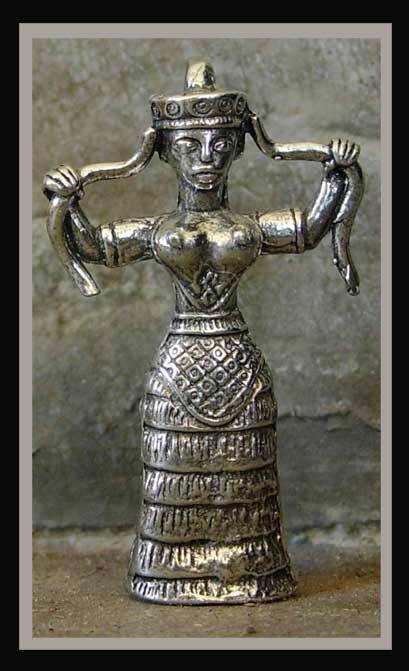 These small pewter figures, Goddesses and their menfolk, are beautiful, and a great aid for invoking the spirit of the dance. Often gifted and worn by sister dancers to celebrate Troupe unity or important performances. 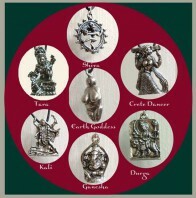 They can also be used to lend blessings to every day endeavors. 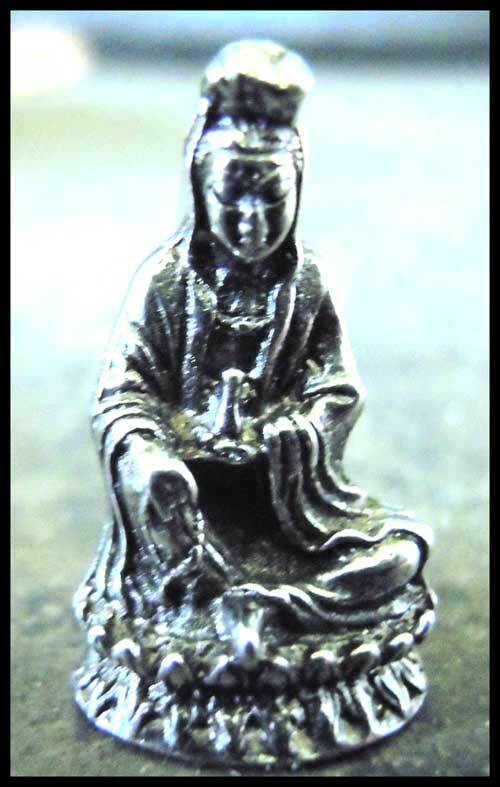 Tara, for compassion, seated Quan Yin for help and healing, Shiva, for change and the ridding of old habits, Durga for fearlessness and strength, Kali for courage and release from fear. Ganesha for luck, joy, and happiness in the world of the senses(sold out), the Crete dancer and Crete Snake Goddess, for confidence and grace, the Eldest Paleolithic Earth Goddess for fertility and abundance, both literally and in creative endeavors. Size These pendents hang from waxed black jute cord, using a clever African knot that makes the necklace length adjustable. 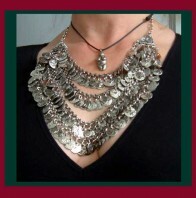 Earth Goddess Shown with the Tiered Necklace .